What heart beats beneath Romantic Works (31'35")? 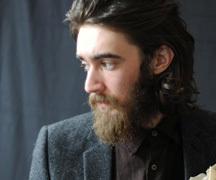 In minimally staged scenes Keaton Henson wanders his way through nine instrumental tracks with affecting reserve - holding everything back, and always on the verge of tears. Giving an audible form to the heartfelt and unseen this album is an examining of intimate moments. A chilly poetry hangs in the air around these tentative piano ceremonies, often in consort with cellist Ren Ford - and the presence of a number of evocative and well-placed background field recordings. Trusting themselves to keep things simple Romantic Works is restrained where it matters and bold when it counts. 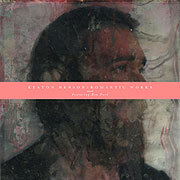 Henson's well-attuned Ambient Chamber Music is harmonically consonant and of a fragility found rarely among his contemporaries. In concert Henson generally seems to haunt his own performance stage. If his music is a revelation of his true nature, then it may well be that his survival depends on this isolation. Romantic Works has been realized in deftness and sensitivity - each perfectly paced piece generating a unique emotional idyll of uncommon sensitivity. The beautiful resolution found at the end of each composition might relate more to the fortitude of the composer or listener than to any ordered musical conclusion. Romantic Works is Ambient Music at its most studious and stirs the exact feelings it depicts. The elegance of its dramatic spareness and its brevity makes Romantic Works all the more enticing. It is the sort of album you want to re-hear immediately.